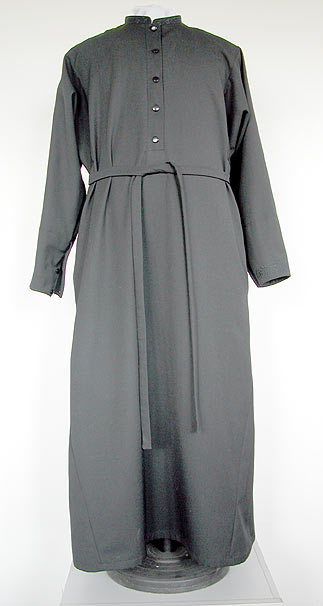 The cassock is an important piece of clothing for Orthodox Christian clergy. We are proud to offer a wide assortment of Russian and Greek orthodox cassock supplies that have been put together by skilled tailors and comply with Orthodox cannons. 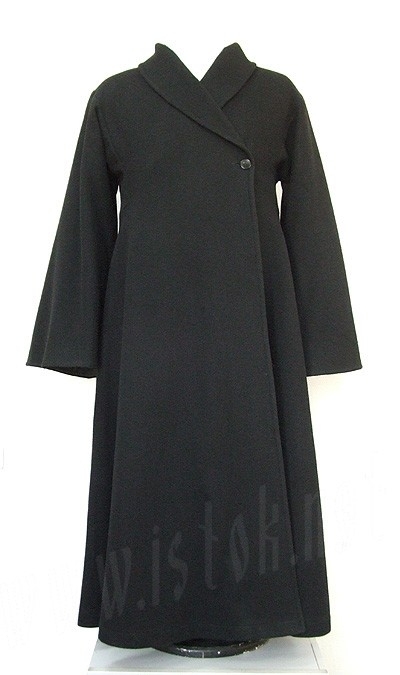 Istok Church Supplies takes care to understand the subtle differences that exist for cassocks belonging to different religious traditions. We strive to ensure that each article of vestment complies with the specifications laid down by the tradition it belongs to. For example, our Greek style exorason (outer cassocks) are fuller than their Russian counterparts (ryaasa). We offer a broad range of cassocks including under cassocks, outer cassocks, cassocks for nuns, Old Rite inner cassocks and cassocks for Orthodox Russian, Bulgarian and Greek clergy. Some of our cassocks are available in standard sizes while others can be custom made to the intended wearer’s individual measurements. Our turnaround time is usually 3 weeks, but we offer 2-3-day rush and 7-10-day semi-rush services at 60% and 35% respectively. Our range of Orthodox cassock vestments for sale is available in popular fabric choices including cotton blend, rayon blend, linen, silk, and wool. While cassocks made from cotton, rayon and linen blend are most suitable for warm climate; the woolen ones are highly recommended for colder weather conditions, such as those experienced in Canada or East European countries. No matter what you choose, you can be sure that you will have long lasting quality and value for your garment. For further customization, customers have the option of adding embroidery to sleeve, collar, and sides for an elegant appearance. Piping to the edges and side pockets can also be added for a distinguished look – our aim is to provide our customers with a garment they will feel comfortable wearing on important occasions. Although we are based in Canada, all our Russian and Greek orthodox cassock supplies are manufactured and shipped from our own facility in Europe. We hope you like our collection – it’s truly a labor of love and our small contribution to preserving the glorious traditions of the Orthodox Christian traditions. Thank you! Spasebo! The Baptismal Font if very beautful!